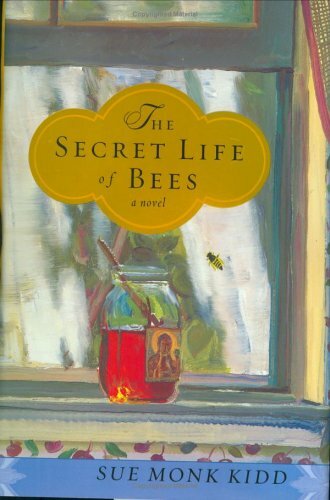 The Secret Life of Bees, published in 2001, was Sue Monk Kidd’s debut novel. Set in the mid-sixties in South Carolina, the story focuses on a teen-aged girl who is being raised by her distant father (who she calls T. Ray) and an African-American housekeeper, after the tragic death of her mother when she was very young. The story’s main focus is the coming-of-age of the protagonist, as she investigates her mother’s history and gets to know a family of three bee-keeping, African-American sisters. Running through the background of the story is the ongoing civil rights struggle, that gives context to this piece of historical fiction. The bee facts that begin each chapter were also fascinating. I found the story to be a moving tale of female empowerment, though the filtering of the African-American characters stories and emotions through the white protagonist (and author) is somewhat problematic (see this article from College English). The book was adapted into a film in 2008 starring Queen Latifah and Dakota Fanning (among others) and is available in the library’s DVD collection (find out if it’s available here). 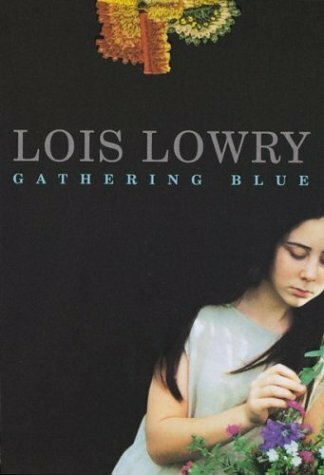 Gathering Blue, a novel that sets up the continuation of Lois Lowry’s The Giver, was published in 2000. Like The Giver, it’s set in the future, but instead of a technology-driven world that seeks to suppress human emotions, Gathering Blue‘s society seemingly devolved into something more like the Middle Ages. The story focuses on teen-aged Kira, who is an anomaly in her community because of a physical disability (in her society, children born with disabilities are taken away to die). As the story begins, Kira has recently been orphaned and must learn to navigate her harsh society, but her innate skill with weaving gives her a new position that could save her life. But as she learns more about her art and prepares a ceremonial robe for a village celebration, Kira becomes increasingly suspicious of those who govern. I thought this story did a good job of balancing morality and storytelling, and I never felt like I was being preached to, as can be the case in children’s stories where there is good and there is bad, and no gray matter in between. As I mentioned, this novel sets up the continuation of The Giver, but it can be read as a stand-alone novel. The next book in the series, reviewed below, brings together characters from both The Giver and Gathering Blue. Messenger is the third book in the Giver quartet and it brings together characters from the previous books. 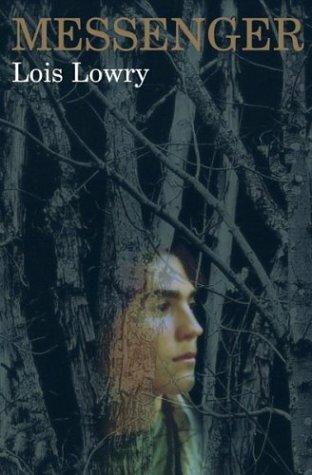 Published in 2004, the book focuses on Matty, the young friend of Kira’s from Gathering Blue (called Matt in the earlier book, he has gotten old enough for his second syllable–a convention in his society where an additional syllable is added to a name as a person enters each life phase, e.g. childhood=Ann, adolescence=Anna, adulthood=Annabel, old age=Annabella). Matty delivers messages throughout the known world on behalf of Leader (Jonas from The Giver), but materialistic desires are turning the villagers against other communities and an anti-immigration sentiment has taken root. What I liked about The Giver and Gathering Blue was their ability to speak to moral issues without hitting the reader over the head with it. Unfortunately, Messenger becomes too preachy for me, and some elements that I found inconsistent with the world built in the previous books bothered me. If you liked the ambiguous ending of The Giver, you might want to skip this one. Even with my reservations about it, at 169 pages, I’d still say it was worth a read. 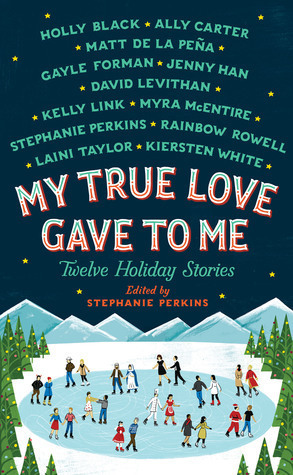 My True Love Gave to Me: Twelve Holiday Stories, published in 2014, is a collection containing stories by some of the biggest names in young adult fiction, including Rainbow Rowell, Gayle Forman, Stephanie Perkins (who also acts as editor), Laini Taylor, and Jenny Han. As with any collection of short stories by various authors, there are ones that I loved, ones that were okay, and ones that I was disappointed with. Highlights for me included “Midnights” by Rainbow Rowell (about a series of New Year’s Eves and two best friends), “Angels in the Snow” by Matt de la Peña (about a young man far from home on Christmas and an upstairs neighbor who might be able to help), “It’s a Yuletide Miracle, Charlie Brown” by Stephanie Perkins (about a girl trying to recapture Christmas magic, and a guy who’s trying to escape it), “Your Temporary Santa” by David Levithan (about guy who convinces his Jewish boyfriend to play Santa), “What the Hell Have You Done, Sophie Roth?” by Gayle Forman (about two outcasts on a seemingly perfect college campus), and “The Girl Who Woke the Dreamer” by Laini Taylor (a fantasy piece with Taylor’s amazingly beautiful writing). 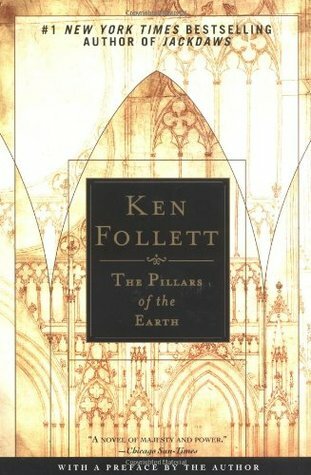 The Pillars of the Earth by Ken Follett was published in 1989. Focusing on the building of a cathedral in a fictional area of England during the twelfth century, this epic work (the library’s paperback copy has 973 pages) of historical fiction spans decades and family generations, weaving together the lives of clergy, builders, nobles, and common people. One of the strengths of the novel is character development, where no one is purely evil (although there are some that may be close) or entirely good. Follett’s attention to detail is also seen in the development of the setting, and historical events, such as The Anarchy (a civil war precipitated by the death of the king’s only legitimate heir) give the story its impetus. I also appreciate the agency of female characters, who were able to establish themselves in ways that were consistent with the time period, but in keeping with more modern sensibilities. As is expected in fiction of this time period, there is a lot of violence, including sexual violence, which made it sometimes hard to read, but overall I didn’t feel it was too gratuitous.